While every other publication out there with actual credibility is floating the more likely prospect of a fight between Manny Pacquiao and Errol Spence, others are bringing up Floyd Mayweather again. As the undefeated boxing champion has already made it clear several times, it just is not happening. 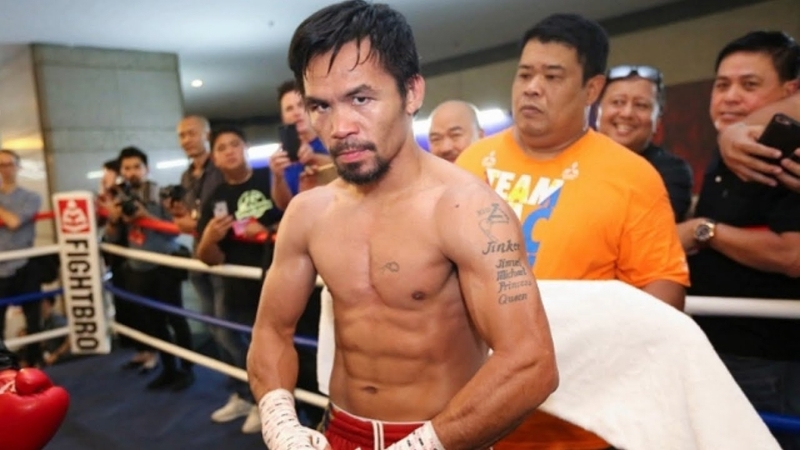 Meanwhile, there is a younger, hungrier boxer out there who is just waiting to take a bite out of the Filipino legend. As Forbes recently reported, a rematch between Manny Pacquiao and Floyd Mayweather is just not happening, and it certainly won’t occur in June. There are a lot of considerations that go into this kind of thing and the latter really has no incentives to agree. After all, he had already proven that he is a better boxer than the eight-division fighter by beating him in their match. Manny Pacquiao could have fought Terence Crawford but it would seem that this is just not going to happen either. As a result, the possible opponents for the champion have become limited in number. Among the likeliest prospects would have to be Errol Spence. He has certainly proven that he is willing based on the comments he has made recently. “I'll fight Manny Pacquiao anywhere, definitely in the Philippines or anywhere else, but right now, I'm worried about Mikey Garcia, after that, you can ask me any questions about Pacquiao," Spence said in response to a question. Nothing has been confirmed as of now and Manny Pacquiao himself has said that boxing is not really on his mind, as of this moment. He is also a senator in his country, after all, and this would undoubtedly come with responsibilities. On the other hand, his silence on the subject of his next fight has caused some to speculate that he may have been told to keep quiet on the matter.